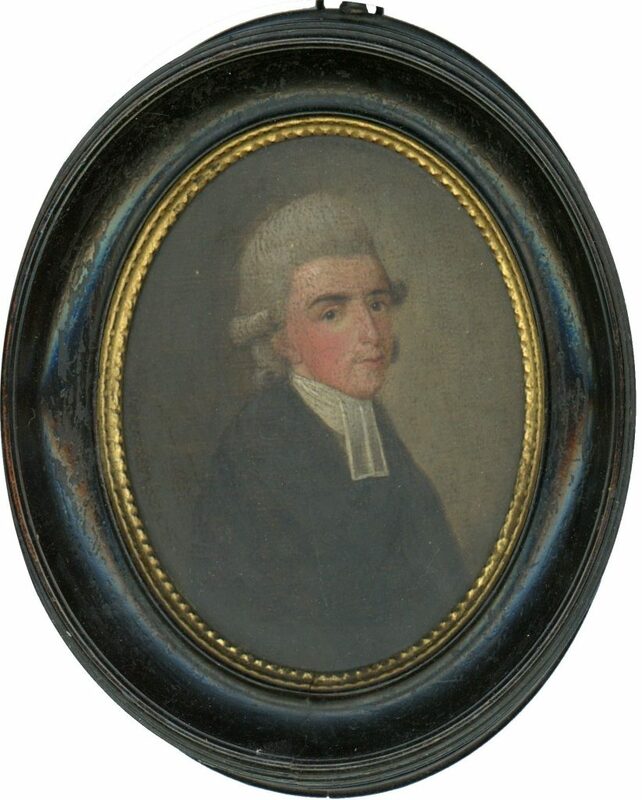 This small eighteenth century portrait depicts the Reverend Sydenham Teast Wylde in a powdered wig and wearing his clerical robes and bands. 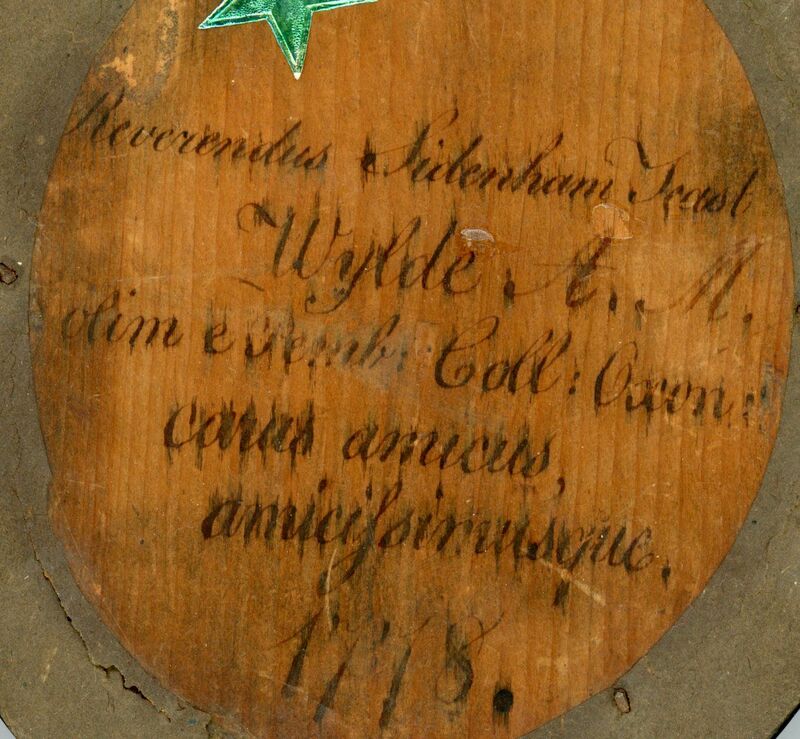 Born in Somerset around 1756 to Samuel and Alice Wilde, Sydenham was educated at Pembroke College, Oxford and went on to be appointed vicar of Burrington in Somerset and Chaplain to Lord Viscount Melville. He married Ann Newman in 1778, the year this portrait was painted. The couple had thirteen children, some of whom were born out of wedlock. He died in May 1826 at the age of 71. 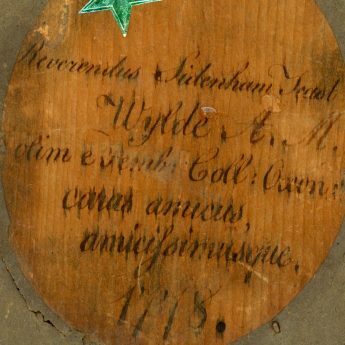 Oil on board set in the original turned wood frame with a Latin inscription to the reverse. Although unsigned, the portrait can be firmly attributed to George Roth who worked in London and Bath between 1771 and 1793 and who specialised in small portraits in oil.